Just In Time Compiler or JIT is used to convert the byte code into machine code.Just In Time Compiler makes type safety(means to check the compatibility of the objects).JIT is the compiler who increase the performance of application of . 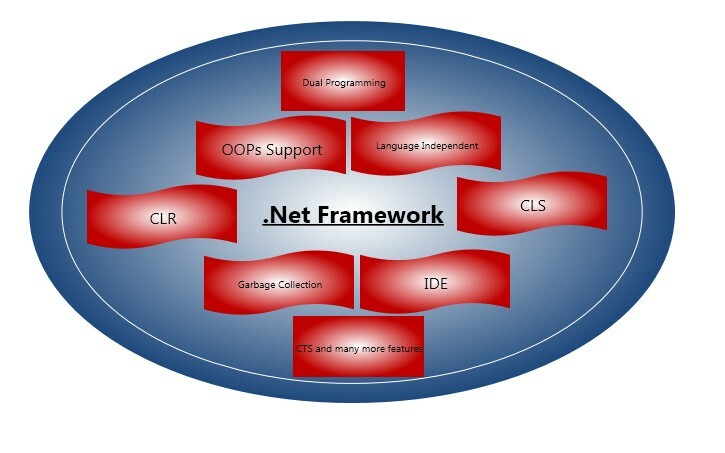 (dot)net framework.JIT Compilers is also used in java,c#(sharp) etc. .Net(Dot Net) Framework is the platform which was developed by Microsoft.Dot Net is used to developed a software, designed a software and many more features it contained(s). 1)Web Services,Web Forms and Window Forms:-Web Services include classes,web form created with the help of asp.net,window form can be created with the help of c#,j#,vb.net etc. 2)Data & Classes:-This logic comes after Web Services,Web Forms and Window Forms and before BCL(Base Class Library). 3)Base Class Library:-BCL or Base Class Libraries is one of the most important feature of .Net Framework(include language like c#,asp.net etc. ).BCL includes feature of Runtime. 4)Common Language Runtime:-Common Language Runtime is the runtime environment framework developed by Microsoft.It is the core component of .Net Framework.CLR takes source code and translate it into byte code and finally byte code convert into machine code(with the help of compiler).CLR execute c#(c sharp) program. 1)Web Application:-Includes web services and forms. 2)Window Application:-Include controls and drowning. 3)Console Application(Language Used:-j# and c#). 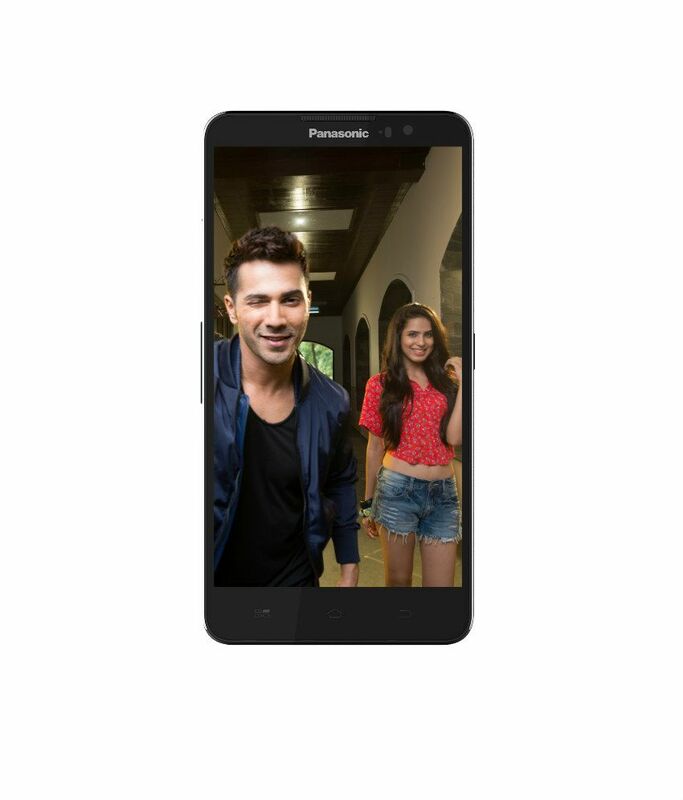 4)Mobile Application:-Mobile Application creates with the help of WML(Wireless Markup Language). 5)Data Base Application:-Creates App with the help of XML(Extended Markup Language). BCL or Base Class Libraries is one of the most important feature of .Net Framework(include language like c#,asp.net etc. ).BCL include features of runtime. 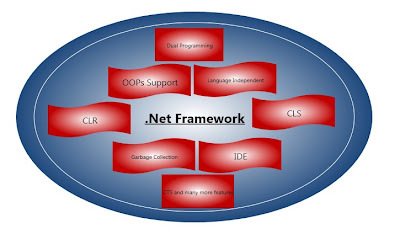 Common language Specification are set of rules that tell how language in .net framework(like c#,vb.net,asp.net etc.) are interact with each other.CLS(Common language Specification) ensure Inter-operatiblity.CLS works with CLR. Common Type System or Support Common Type System is the set of predefined data type.The data types are in the form of Intermediate language.CTS is used to create,manage the data types in run time.It is one of the most concept important of . (dot) net framework or c#. a)User defined value:-Include struct and enum . b)Predefined Value:-Include object type and string type.
.(Dot)Net framework supports the concept of Integrated Development Environment.Integrated Development Environment are those environment in which libraries,ActiveX control,properties,forms etc.are working in integrated environment to develop a software or project. Common Language Runtime is the runtime environment framework which was developed by Microsoft.It is the core component of .Net Framework.CLR takes source code and translate it into byte code and finally byte code convert into machine code(with the help of compiler).CLR execute c#(c sharp) program. 1)It supports oops(Object Oriented Programming) concepts like inheritance,class,object,abstraction etc. 2).Net is language independent software. 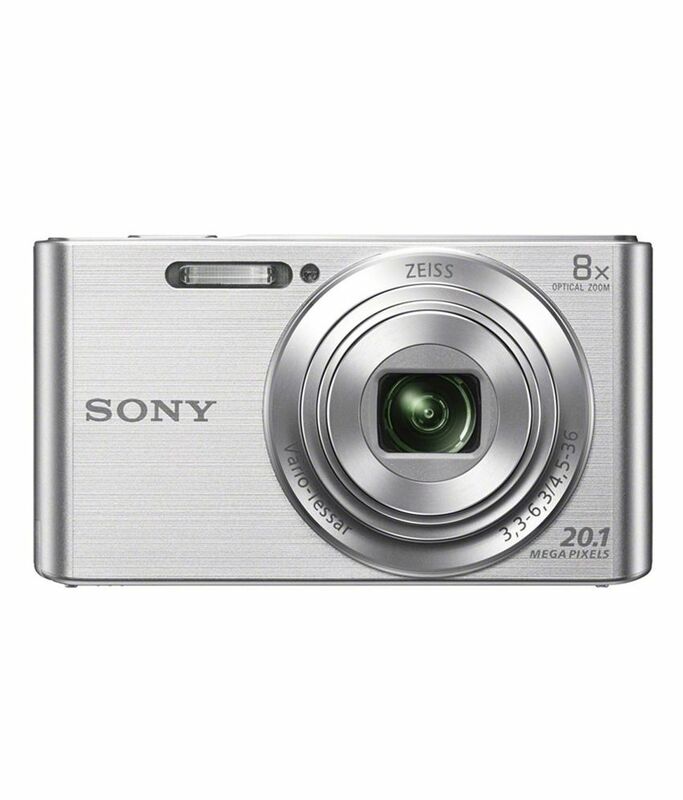 3)Features like CLR(Common Language Run time),CLS(Common Language Specification) etc. 5)It has Integrated Development Environment(IDE). 7)We can do programming in console application as well as window application. 8).Net contains the class libraries. 10)Easily handle the run time error. That's all about .Net and its features.